If buying your first home is a huge milestone, building your first home is a giant undertaking. It should come as no surprise that this kind of project is an investment that you care about getting right. Whether you’re planning to construct the home you’ve been dreaming about all your life, a place to raise a family in, or a retirement getaway for relaxing and recharging, you want to know you have the right information to make your dream a reality. To make sure that you will love your new home for many years to come, you want to have a clear vision for the finished product early on, but it can be confusing and overwhelming to figure out how to find a good house plan. That’s why we’ve created this guide to choosing a house plan, which will go over everything you need to know as well as all the key considerations to have in mind when making this big decision. 1. Dream preferences - What have I always wanted in a home? 2. Architectural style and design choices - What do I want my home to look and feel like? 3. 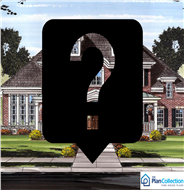 Must-have features - What are the features that are required in the house? 4. Budget - What can I really afford? 5. Practical considerations like size - How big does my home need to be? 6. Combining dream and practical - How can I combine these to create my perfect home? If you are just starting the process of picking a floor plan, you might not be sure where to start. The aforementioned factors are very important in narrowing down your options and making a decision. Below we will break down each of these points to help you gain clarity on picking the home plan that is right for you. Have you always wanted a spiral staircase? A decked-out gaming room? An above-garage apartment? Your pet’s own bedroom? Everyone has ideas that they have come up with over time about what their dream home would include. Now is the time to put your imagination to work and list everything you would want in a home of your dreams. Spend some time really thinking about what elements you would love to have in your home. Sites like Pinterest or home decor websites and magazines can be great places to get your inspiration flowing. Don’t worry too much about what is feasible at this point; that will come later. Make your daydreams into a list that you can have at the ready when going through the rest of the process. Are you more of a Ranch-style home fan or do you prefer more Victorian? American colonial or mid-century modern? Do you love McMansions or are you intrigued by tiny homes? When building your own house, you have the flexibility to choose a style that is in line with your desires, or mix and match based on different needs for various parts of the house. It’s a great idea to peruse styles that are of interest to you so that you can have a good feel for the desired aesthetic of your soon-to-be home. Your home’s style choices will also have an impact on the house plan, so you want to be prepared for any freedoms or limitations that may come with the style you choose. From walking around your neighborhood to exploring Google results to turning on HGTV, there are many ways to acquaint yourself with different home styles to determine what you like. While you might think that you have your heart set on a particular style already, allow yourself some time to check out which other home architectural designs might work for you. Or on the flip side, even if you are very open to the style options, you’ll still want to spend some time on evaluating your options. Now that you’ve spent some time dreaming and browsing, it’s time to get down to business by asking yourself some important house plan questions regarding the feasibility of your ideas. It is now time to think about the specifics of what you can actually accomplish. Start by getting serious about what you are able to spend on this home. While it’s expected that you will need to take out a construction loan to build, you should not rely on that entirely for all of the expenses that arise, from getting permits to hiring contractors to unexpected or hidden costs along the way. Sit down and take a look at your finances to get a clearer sense of what is within your price range before you make a selection. Putting together a spreadsheet of sorts during this time can help get a clear picture of the budget as a whole. This is also the perfect time to bring in a financial professional to help you understand what’s possible with your budget. Unless you already own the land you’d like to build on, one practical consideration to give some thought to is the size of the lot that you need to build your new home on. While some areas of the US have specific requirements about minimum and maximum lot sizes (as well as construction square footage), oftentimes this may be determined by local ordinances or zoning requirements. To determine the right lot size for you, check with a local professional or contractor to get an appropriate estimate. 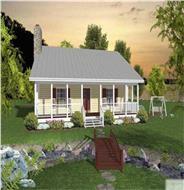 If you already have a lot chosen, the size plays a major factor in finding the right house plan. Thinking Small or Thinking Big? Square footage is often one of the first things that comes to mind when thinking about building a home. As of the 2017 census, the average square footage for a single family home was 2,426 square feet. 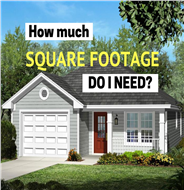 But how much square footage do you really need? Gain a sense of the square footage size you’re looking for by considering your lifestyle, family size, hobbies, and future plans. Bigger homes can be a great choice if you have a larger family (or plan to have a larger family), plan to live in this house for a long amount of time, host events or parties often, or want a dedicated space for a hobby such as working out or reading. Having more space means more flexibility in your home’s design and use. On the flip side, many homeowners/builders in this day and age are opting to go for smaller homes for practical reasons: lower costs, more environmentally friendly, and less extensive maintenance. Ultimately, the choice is up to you, and should be in line with your budget – and hopefully many of your dream ideas, too. All of these factors can help you determine if you need to go bigger or smaller. This consideration is especially important, as you want your home to be the right size for you and your family. The process of building a new home can be both an incredibly exciting and totally overwhelming experience. Combine the fun of imagining your dream home with practical considerations like size and budget in order to select the right house plan for you. With The Plan Collection, start streamlining your home plan search so you can turn any headaches or stress into easy action. Start searching for your next home using our search function to filter down to exactly what you’d like, or peruse our resource bank for information on financing, permits, common floor plan mistakes, decoration, and more. No matter what stage in the home planning process you’re in, we’re here to help. Contact us with any questions! 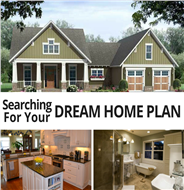 And browse through our related articles below that dig a little deeper into different specifics of the process of picking a home plan. You’re dreaming of building the ideal home. But there are tens of thousands of pre-designed house plans to choose from, and you don’t have a crystal-clear mental picture of it yet. Tackling a few important decisions and tasks beforehand will make the search for your dream home plan much easier. Building your own home is quite possibly the most exciting and rewarding endeavor for anyone to undertake. With the right decisions and choices, undoubtedly your home will not only exude comfort and happiness, but also financial security in the future. And it all starts with the perfect home design. But before arriving on tough decisions, you’ve got to be really truthful with yourself in answering these questions. Building your ultimate family home can be a fun, rewarding – if overwhelming – experience until you realize the home plan you’ve chosen has some very crucial design errors. Avoid dream home regret by watching out for these common mistakes! Not a tiny house or a McMansion, a five-bedroom house plan is designed to accommodate the lifestyle and needs of a growing family. With styles that range from Colonial, Country, Craftsman, European, and Mediterranean, these plans are trendy and appealing, and offer the ultimate in space and versatility. Big and extravagant homes might be beautiful to admire from afar, but how many homeowners really want the mortgage payment that comes with it plus spend their nights and weekends maintaining them – or incur huge expenses to have others do so for them? 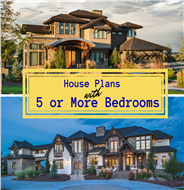 Below I explore some of the advantages and comforts offered by a smaller home floor plan as well as my “Top 5 Tips” to enhance your smaller space design. Buying a building lot is often done by those looking for freedom and independence from a typical development community. You get to create exactly what you desire within your budget. But it is easy to fall in love with an unsuitable piece of property before doing your due diligence. 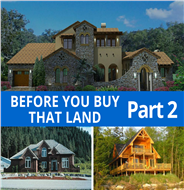 Part 2 of what you need to know before buying a building lot discusses land rights to consider plus advice on financing the purchase. 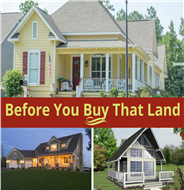 Now that you know all about buying land, you’ll be able to search for a house plan and build exactly what you desire within your budget.